The Basic Software, formerly ArcView is the basic software for visualizing, managing and analyzing geographic data. Formerly ArcEditor is the standard and includes all the capabilities of ArcView and includes additional functionalities in addition to the advanced operation and management of geographic data. Examples are the simultaneous processing of data by different users, advanced spatial data models and raster-vector conversion. Formerly ArcInfo is the most advanced product. Apart from the capabilities of ArcView and ArcEditor, it offers advanced functionality for analysis, modeling and mapping. 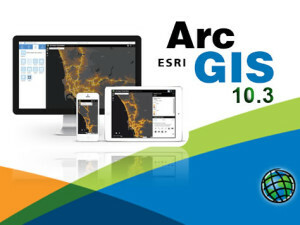 ArcGIS Desktop is ESRI’s desktop product from the ArcGIS Family. Desktop GIS platform is designed to capture, store, manipulate, analyze, manage, and present all types of spatial or geographical data to enable informed decision making. 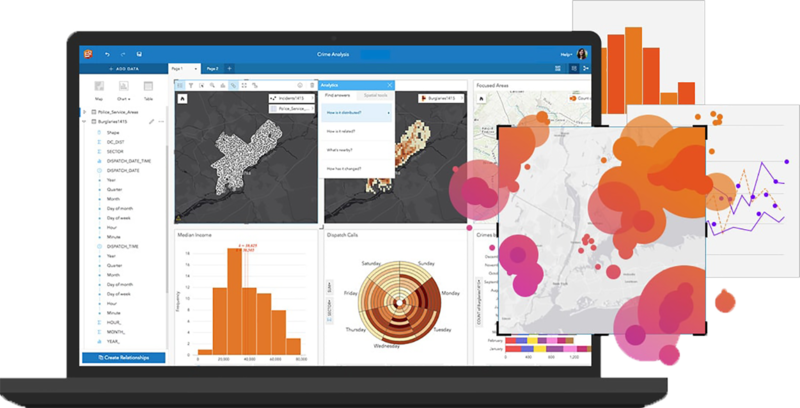 ArcGIS for Desktop comes with ready-to-use data and tools that let you build process models, scripts, and complete workflows to help you better answer questions, test predictions, and examine relationships within your data. ArcGIS for Desktop used for Water Project. Current version of Desktop Software. Swap space Determined by the operating system; 500 MB minimum. Disk space 2.4 GBIn addition, up to 50 MB of disk space may be needed in the Windows System directory (typically, C:\Windows\System32). You can view the disk space requirement for each of the 10.1 components in the Setup program.If using ArcGlobe, additional disk space may be required. ArcGlobe will create cache files when used. Video/Graphics adaptor 64 MB RAM minimum, 256 MB RAM or higher recommended. NVIDIA, ATI, and Intel chipsets supported.24-bit capable graphics acceleratorOpenGL version 2.0 runtime minimum is required, and Shader Model 3.0 or higher is recommended.Be sure to use the latest available driver. Networking Hardware Simple TCP/IP, Network Card, or Microsoft Loopback Adapter is required for the license manager. Microsoft Internet Explorer (minimum IE 9) must be installed prior to installing ArcGIS for Desktop. Internet Explorer 9, 10 and 11 are supported. ArcGIS for Desktop geoprocessing tools require that Python 2.7.x and Numerical Python 1.7.x are installed. If the ArcGIS for Desktop setup does not find either Python 2.7.x or Numerical Python (NumPy) 1.7.xinstalled on the target computer, Python 2.7.8 and Numerical Python 1.7.1 will be installed during a complete installation of ArcGIS 10.3. You can choose a Custom installation to unselect the Python feature and avoid installing it. Additionally, if the Python setup is executed during the ArcGIS for Desktop installation, you will be provided with the opportunity to choose its installation location. The Python installation location should not include spaces. Hardware requirements for the license manager are identical to ArcGIS for Desktop hardware requirements. *OpenGL is required to run the License Server Administrator and theSoftware Authorization Wizardon these systems. When running in a 64-bit environment, ArcGIS for Desktop, ArcGIS Engine, and ArcReader run as a 32-bit application. ArcGIS Developer Help System on Windows 7 requires Adobe Reader 9.1.2 or higher. See 37244 for more details. ArcGlobe/ArcScene and any other 3D application generally will not work over Remote Desktop or other Windows Terminal Services clients, because RDT clients do not support 3D graphics acceleration. ArcGIS Engine-related products are only supported on Linux CPUs that adhere to the x86 architecture with supported Linux releases. It is a requirement that the OS (binary) not be modified. Esri does not support a developer’s release of any operating system. The Red Hat Enterprise Linux Server 5 Update 7 (32-bit and 64-bit) with the libX11-1.0.3-11 patch minimum will be supported as long as it is from Red Hat without any modification to the kernel/glibc version. All package versions listed must be at level stated or higher. ** For 64-bit OS support, if 32-bit (i386) versions of the above packages are available, they must be installed prior to installing ArcGIS. The Red Hat Enterprise Linux Server 6 Update 1 (32-bit and 64-bit) minimum will be supported as long as it is from Red Hat without any modification to the kernel/glibc version. ** The user should confirm that optional packages (especially compat-gcc* and gcc*) are installed after installing the group. *** For 64-bit OS support, if 32-bit (i686) versions of the above packages are available, they must be installed prior to installing ArcGIS. The Linux patches for SUSE Linux Enterprise Server (32-bit and 64-bit) will be supported as long as they are from SUSE Linux without modification to the kernel/glibc version. ** For 64-bit OS support, if 32-bit versions of the above packages are available, they must be installed prior to installing ArcGIS. What Do I Get with My Free ArcGIS Trial? A 60-day trial of ArcGIS for Desktop Advanced, which includes ArcGIS Pro and ArcMap. A 60-day trial of the most popular ArcGIS extensions for ArcGIS Pro and ArcMap. A 60-day trial of ArcGIS Online with access for up to five people. 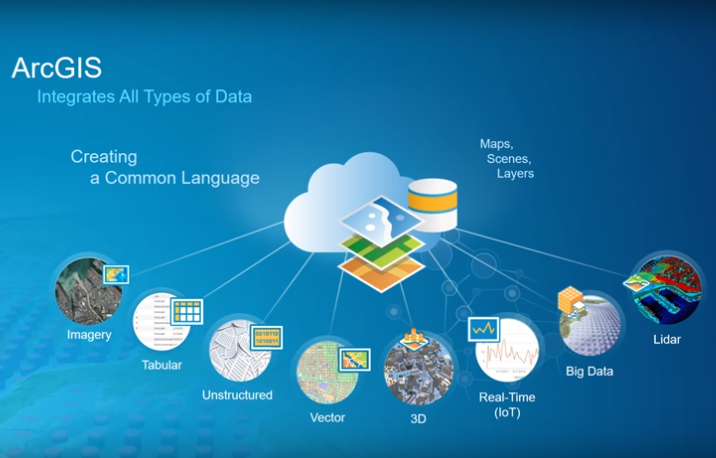 A total of 200 ArcGIS Online service credits that can be used for data storage, premium data access, or performing geocoding and analysis. A suite of ready-to-use apps that help you work anywhere and on any device. 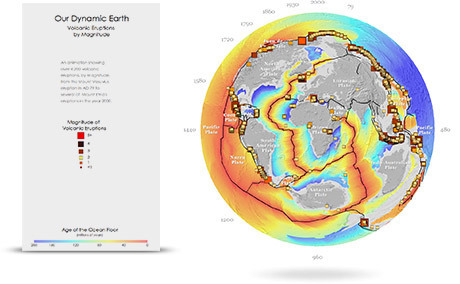 A Living Atlas of the World with maps and data, including access to foundation content from Esri, on thousands of topics. Access to developer tools including APIs and SDKs. Access to free trials of third-party apps and data, available from the ArcGIS Marketplace. Once you purchase ArcGIS for Desktop (which includes ArcGIS Online) at the end of your trial, all the work you’ve saved in ArcGIS Online during the trial becomes part of your account. You won’t lose anything you have built! ArcGIS Pro requires Microsoft .NET Framework 4.5 and Microsoft Internet Explorer version 8 or newer. 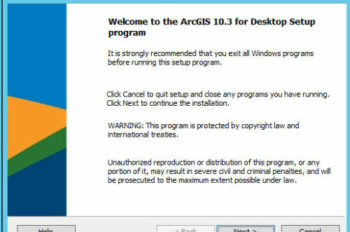 Before running the installation program for ArcGIS Pro, ensure that your machine meets these prerequisites. Quick start for ArcGIS Pro provides an overview of installing and setting up ArcGIS Pro and links to detailed resources, including system requirements. ArcMap requires Microsoft .NET Framework 3.5 SP1 and Microsoft Internet Explorer version 7 or newer. Before running the installation program for ArcMap, ensure that your machine meets these prerequisites. The quick start guide provides an overview of installing and setting up ArcMap and links to detailed resources, including system requirements. Please fill the form to buy.